The ComfyRay™ Complete Starter Kit is a complete holding system for digital sensors. It eliminates the need for multiple rings, rods and pins of older obsolete systems. The ComfyRay™ complete starter kit allows you to use one holder for anterior, posterior, vertical & horizontal bite wings, and Endo. The unique Shark Fin Biteplane design allows the holder to slip around the rubber dam clamp. It is flexible by design and uses only one autoclave bag for an entire system. The ComfyRay™ complete starter kit includes the "G" ClikGuide™, which requires only one ring which rotates into three positions. It also slides closer to the sensor to achieve accurate beam position. The ease of use and simple design requires far fewer instruments to complete a full mouth series of digital radiographs. ComfyRay™ + "G" ClikGuide™ are all you need to get all the images you need. ClikRay™ complete starter kits includes the ClikGuide™, which requires only one ring which rotates into three positions. It also slides closer to the sensor to achieve accurate beam position. The ease of use and simple design requires far fewer instruments to complete a full mouth series of digital radiographs. ClikRay™ + ClikGuide™ are all you need to get all the images you need. The ClikStik™ CCD Complete Starter Kit is a complete holding system for all digital, film & PSP sensors. It eliminates the need for multiple rings, rods and pins of older obsolete systems. Now you can have a system without metal rods in your mouth or on the image. Save time and money with the complete starter kit. The ShaRing™ Complete Starter Kit is a complete holding system for all digital sensors. It eliminates the need for multiple rings, rods and pins of older obsolete systems. Now you can have a system without metal pins or rods in your mouth. Save time and money with the complete starter kit. The ShaRing™ is a single ring designed to replace the need for three separate rings used in a full mouth series. Anterior, posterior and bitewing radiographs may now be taken with just one single ring. The ring is completely autoclavable and is compatible with existing metal anterior, posterior and bitewing rods from most manufacturers. 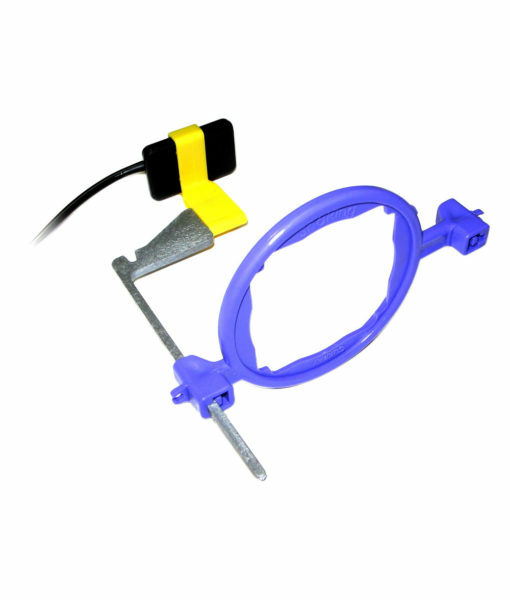 It incorporates wire clips for any digital sensor. ShaRing™ offers rectangular collimation which conforms to European and future standards. s a complete holding system for all digital, film & PSP sensors. It eliminates the need for multiple rings, rods and pins of older obsolete systems. Now you can have a system without metal rods in your mouth or on the image. Save time and money with the complete starter kit. The ClipRay™ Complete Starter Kit is a complete holding system for Film & PSP Plates. It eliminates the need for bite blocks, multiple rings, rods and pins of older obsolete systems. 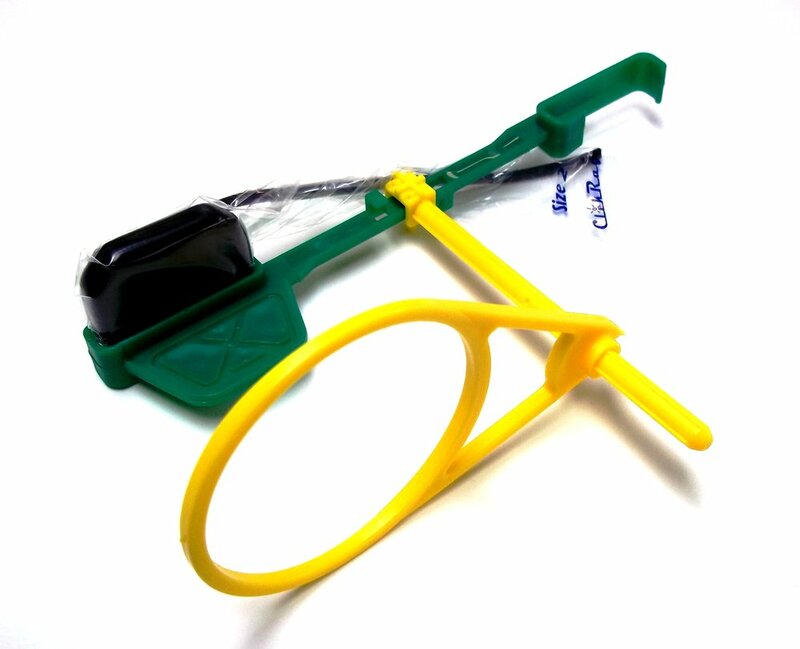 The complete starter kit allows you to use one holder for anterior, posterior, vertical & horizontal bite wings, and Endo. and uses only one autoclave bag for an entire system. 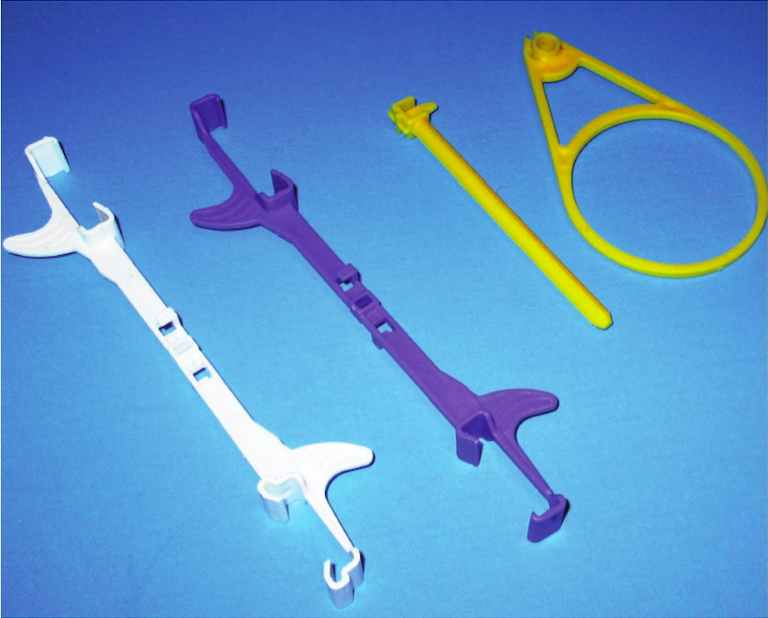 ClipRay™ holders are biodegradable, autoclavable, and flexible by design. The ClipRay™ complete starter kit includes the ClikGuide™, which requires only one ring which rotates into three positions. It also slides closer to the sensor to achieve accurate beam position. The ease of use and simple design requires far fewer instruments to complete a full mouth series of digital radiographs. ClipRay™ + ClikGuide™ are all you need to get all the images you need.